January brings us two scenarios that build on more recent stories, taking us to the forests of Iobaria and back into the Hao Jin Tapestry. Taking us to Iobaria is Pathfinder Society Scenario #10-12: Breath of the Dragonskull, a Tier 1-5 scenario written by yours truly that has the Pathfinders returning to the town of Mishkar to help out some old friends who are in a bit of a jam. The PCs will have to navigate both a delicate political situation and a blazing forest fire if they are to complete their mission successfully. When I developed Pathfinder Society #9-18: Scourge of the Farheavens, I realized that the story of the people of Sarkoris, whose homeland was devoured by the Worldwound, were people I wanted to get to know better. Breath of the Dragonskull touches on a lot of stories that I really care about and wanted to spend a little more time with and I jumped at the opportunity to write it. As we look forward to a new edition where the heroes of Wrath of the Righteous have successfully closed the Worldwound, I thought it would be a great opportunity to revisit the god-caller Nelket and her deity Dolok Darkfur as the Society makes good on its promises from #9-18 and helps the Sarkorian refugees and their allies retake their new home. 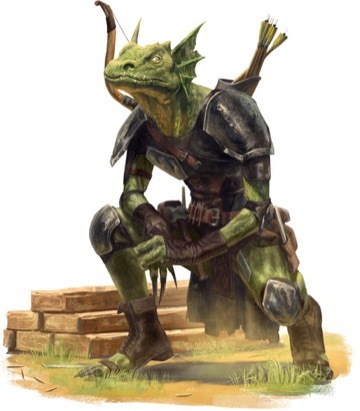 Since announcing goblins as a playable race in the next iteration of the Pathfinder RPG, we've seen much commentary about the status of goblins and how they fit into Golarion. Not only what their role not just in the Society is, but also in the larger world. As we've done previously, the team took advantage of using the ongoing narrative of the Pathfinder Society to explore how goblins, specifically forest goblins, of all alignments handle situations. Though one thing hasn't changed, goblins still love burning things. I did mention that there's a forest fire, right? You'll get to see how goblins interact with less populated ecosystems and might even find some roots that could grow into goblin PCs when the new Core Rulebook releases in August. Pathfinder Society Scenario #10-13: Fragments of Antiquity is a Tier 5-9 scenario that takes the Pathfinders once more into the unraveling demiplane known as the Hao Jin Tapestry. The PCs endeavor to discover the fate of the legendary sorcerer Hao Jin as they trek their way through an ancient library filled with deadly traps crafted by a clan of clever kobolds. Kobolds, libraries, and strange planar phenomenon present a robust and challenging mix of encounters for a group of players to confront, but veteran scenario author Sam Polak was excited for the challenge. The Scalebreaker kobolds are a memorable addition to the organized play catalogue of NPCs. Attentive and diplomatic players may even have the opportunity to figure out which kobolds are responsible for their particular woes as they traverse the library depths. It'll be up to the players to decide if the Scalebreakers are friends or foes, but kobold chieftain Bridge-and-Logs gets to make an early appearance here in the blog, courtesy of Tom Ventre! I always come here for the "Huzzah"s, I just stay for the updates. TOZ's "Huzzah! "s are an always welcome and frequently appreciated start to many a blog or product thread. Kobold And centaur? What more could one hope for <3 ! I loved the story behind the Scourge of the Farheavens and cant wait to learn more in our next installment and then GOBLINS are my favourite creatures in Golarion the little mischievous scamps that they are. Dunno if im more excited to play or run this one. One thing I heard from a few people following #9–18 was that they felt like the scenario didn't do enough with the fact that it's set in Iobaria. I'm hoping #10–12 continues that story in a satisfactory way that also shows off a few more of Iobaria's prominent features, like centaurs, cyclopes ruins, and Golarion's biggest fire hazard. #10–13 puts kobolds in a massive library where they've been incentivized to create the most inventive traps they can come up with. I feel like it's hard to go too wrong with that formula. Still not persuaded on the “goblins are lovable little scamps, not psychopathic arsonist cannibals,” but I acknowledge that battle has been lost. Yes, I just finished running #9-18 via PbP recently and the group wanted to know more about the 'why' of the whole thing. I had to take my GM hat off and tell them that the scenario literally had no further explanation on the matter and that Iobaria didn't have much in the way of material or lore yet. Is that the sound of you requesting 10-12 for Outpost, Ladile? 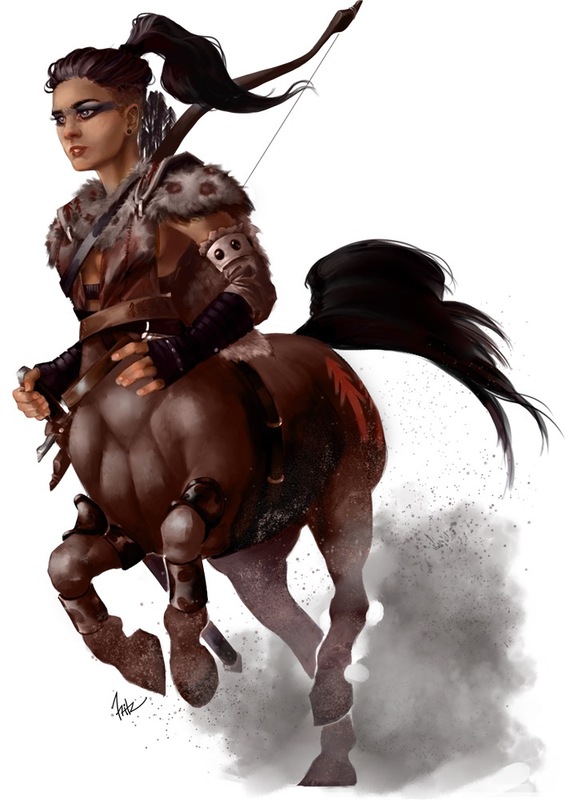 Yes centaurs are way cool. Farheavens scenario had several problems which i won't nitpick - fleshing out the areas specific lore, locations, and local flavor will be much aporeciated. I really don't like the new goblins, partly because i don't understand the why of them. Gnomes already fill the cute, funny, silly, mischievous scamp niche. The new goblins seem to just be gnomes with dex instead of wis. But then I'm old-school Tolkien where evil monsters are really Evil.Kobolds will be a nice change. I think they get over shadowed by goblins far too often. I like to see scenarios that balance action and roleplay. PFS games are pick up games that virtually guarantee a mix of desired play styles. The drama loving role players shouldnt get to dominate encounters any more so than the min-maxed melee power gamers do. Not gonna lie, I'm a little bit disappointed that 10-13 isn't a tier 3-7. I would have LOVED to have played my Sewer Dragon kobold in that one. I thought Iobaria's most prominent feature was plagues. That centaur's body proportions look off to me. The human portion should be much smaller. Ugh more goblins. After Treasons Chains, I am just done with scenarios featuring the buggers. Go away. Just. Go away goblins. Treason's Chains was great. I loved running it. How can you not love the Gobfather making an offer you can't refuse? It is, but I feel like #9–18 did a pretty solid job of covering that angle. Probably worth noting that Yigrig is very unusual as far as goblins go, and even most of his extended family thinks he's pretty weird, what with the reading, writing, and cultured speech patterns. There aren't a lot of old goblins on Golarion and even fewer of them grow old in a metropolitan area, so Yigrig is an outlier on quite a few fronts. So, keep Golarion goblins out of the Kajamte™ and we don't need to worry about them in PFS2? The magic wonder-ore that uplifted Goblins in WoW. Is it wrong that I really just want to see 10-13 feature a log trap (big, heavy, and wood) that rolls over a ranger's dog wolf? That would be better than bad. One might even say "It's good!"